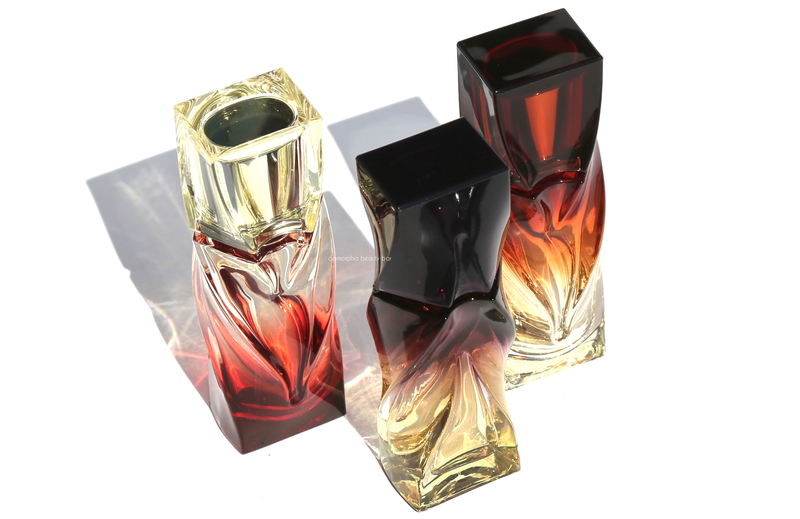 The bottles are made out of heavy-cut glass and bear a moulded free-flowing organic pattern, reminiscent of a woman’s curves, while the caps have a magnetic feature that ensures they close both effortlessly and completely securely. 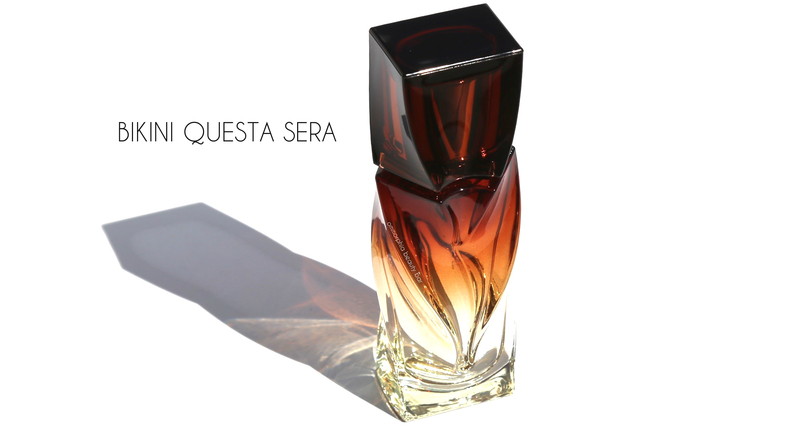 Bikini Questa Sera Parfum (CAN $135.00/30 ml) | A distinctive floral fragrance, Bikini Questa Sera contains notes of Paradisone, Green Nectars, Jasmin Absolut, Tuberose Absolut, Australian Sandalwood, Vetiver Haiti, and Ambergris. As someone who tends to avoid florals, I actually love the simplicity here; creamy and easy to wear, the tuberose at the heart of this perfume stands clear & strong without feeling either fussy or lost in the shuffle of the other notes — all of which in fact act more as supporting players to this elegant ingredient, as opposed to overpowering it. An excellent daytime choice and one that lasts beautifully while maintaining its freshness upon the skin. 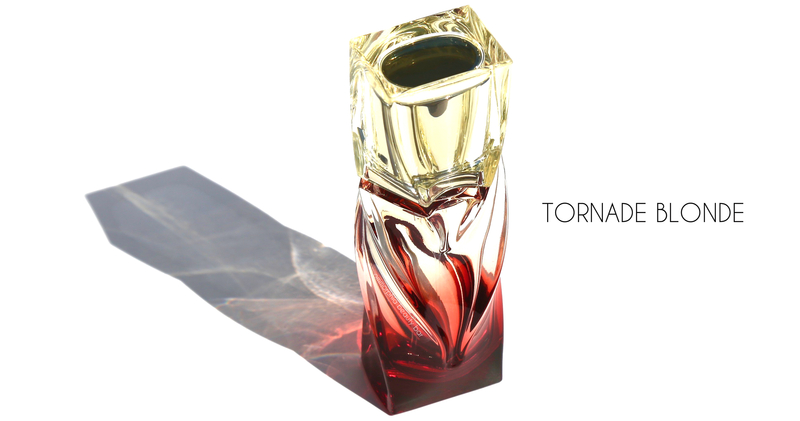 Tornade Blonde Parfum (CAN $135.00/30 ml) | A lush warm floral, Tornade Blonde contains notes of Rhubarb, Violet Leaves, Ambrette Signature, Cassis, Bulgarian Rose, Jasmin Sambac Absolut, Orange Flower Petals Firnat, Gardenia from Brazil, Ambergris, Cedarwood, Australian Sandalwood, and Patchouli. By the name alone, I was actually expecting something wild and exotic, not the sweet nature I found instead. There is a definite fruity presence here thanks to the Rhubarb and Cassis, which serves to temper the rose at its heart, thus turning this a modern floral but with a strong woody presence — a perfume that’s equally wearable both for day and evening. 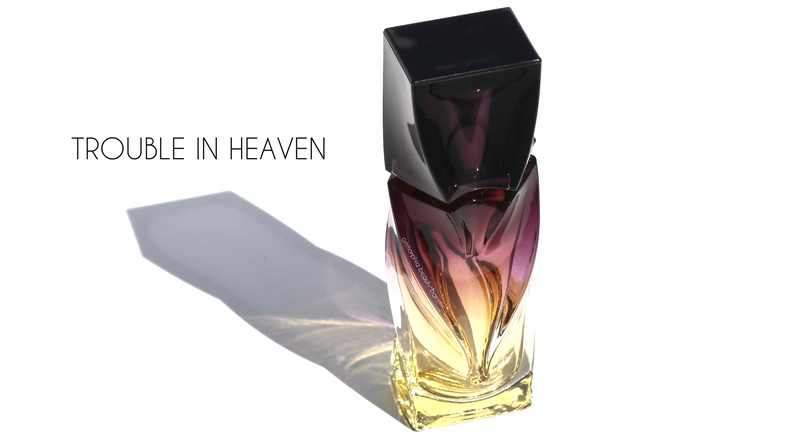 Trouble In Heaven Parfum (CAN $135.00/30 ml) | Decadent & rich, Trouble In Heaven contains notes of Bergamot, Cascalone, Rose Bourbon, Iris Firabs, Amber, Patchouli, Tonka Absolute, and Labdanum. Definitely a fragrance for the evening (but that’s not set in stone, mind you), there’s an interesting duet performed between both the rose and iris elements, with the patchouli coming in to keep things from becoming cloying. Surprisingly, I was expecting the finish to be deeper in tone and leaning more towards the vanilla/amber spectrum, but instead it seems to swing towards a lighter note — something both unexpected and unique. 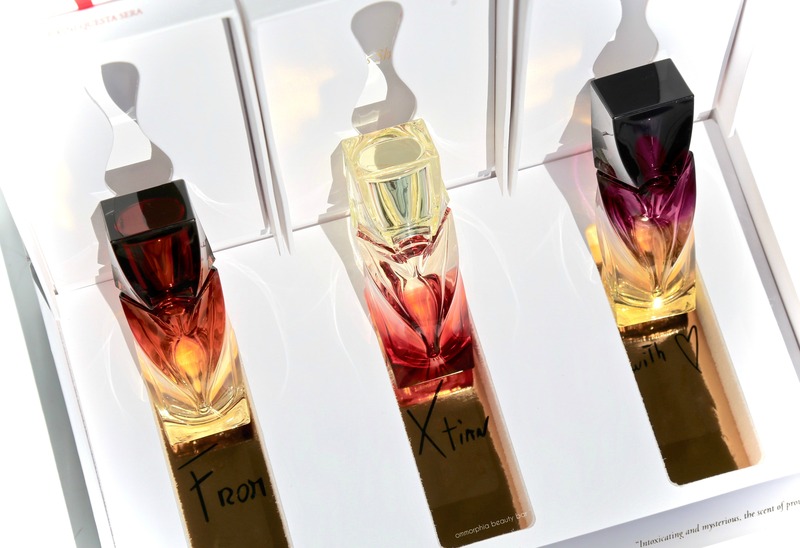 Reviewing fragrance is a tricky beast; for starters, I’m by no means an expert so don’t expect all the fancy terminology. Secondly, perfume is extremely personal and what works for me may be the complete opposite on others. 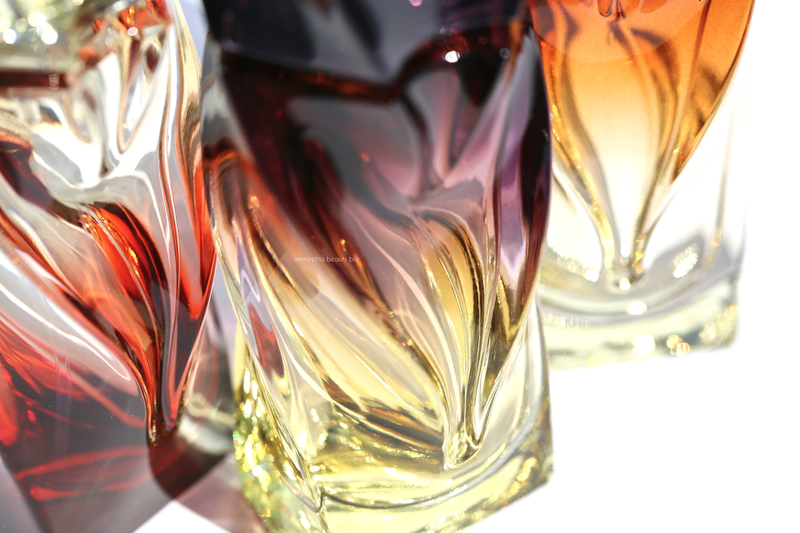 That said, there are some common ground rules one can follow, such as the category a fragrance falls in, along with its longevity (but again, that can be subjective and dependant on your body’s unique chemistry). 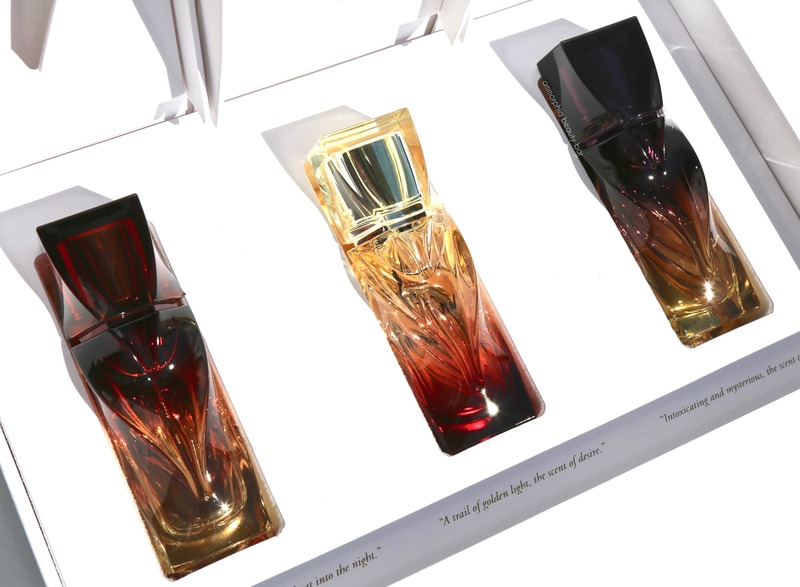 All three perfumes here were a surprise for me; based on the note descriptions for each, I would automatically have said that Trouble In Heaven would walk away with the top prize as my favourite since I tend to lean towards spicy orientals. 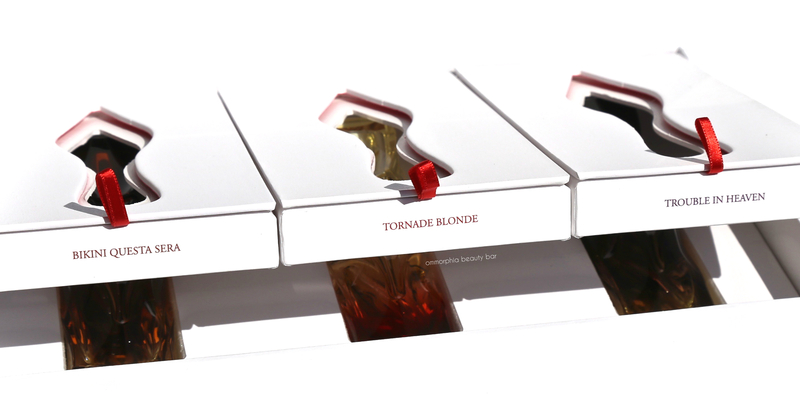 And Tornade Blonde — maybe even for the name alone (hello; I’m blonde) coupled with its rose heart. It turns out that Bikini Questa Sera is the one that held me captive. Me, a habitual floral-avoider. Creamy, lush, and a scent that makes you lean in for a closer sniff … it’s total love. Pricey? You bet — but still cheaper than a pair of Loubie heels, that’s for sure.